To all PUBG Gamers! You can now finally use an Chicken Dinner AR Effect on Facebook featuring a PUBG inspired mask where you’ll have a chance to wear a Level 3 Helmet and holding Chicken Dinner in Augmented Reality. We’ve come to the point on developing this AR Effect for Gamers that want to show quick attire for their favorite Battle Royale Game using the Facebook Camera. The initial effect is you’ll wear a full mask Level 3 helmet and once you open your mouth – it will open the helmet’s visor and the smoking hot chicken will appear in-front of you. 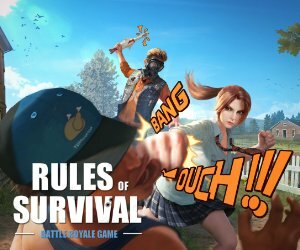 You can now use the PUBG AR Effect in Facebook Camera and look for our icon. If you’re on PC, just click Send Notification and it will pop up on your mobile device. Once you’re in the AR Effect, open your mouth to open face your helmet and the chicken dinner will appear. This PUBG Inspired AR Effect is developed in AR Studio.